Join host Dorothy Wills-Raftery as she presents The Sibe Vibe. 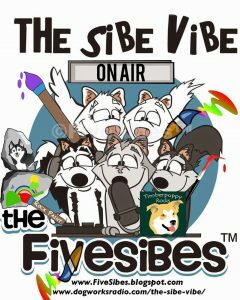 On this episode of “The Sibe Vibe,” we will be chatting with TimberPuppy Rocks Plus artist, Lillian Malm, who is also a Siberian Husky and Alaskan Malamute mom, former vice president of the Texas Sled Dog Rescue, and current social media/marketing volunteer with Texas Sled Dog Rescue and Wolf Spirit Sled Dog Rescue. Hi, Kim! Thanks for listening! All U.S. residents, 18 years of age and older, are eligible! Good luck! Thanks for listening! Good luck! Thanks for tuning in and good luck!